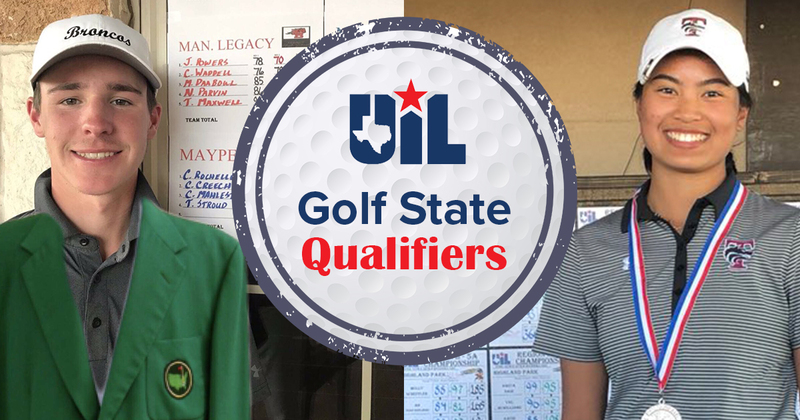 Two Mansfield ISD student-athletes will be heading to the state golf tournament to compete with some of the best high school golfers in Texas. Jackson Powers from Legacy High School and Aysis Azarcon from Timberview High School earned scores that qualified them for the next level of competition. Powers came in first place at regionals. He will compete in the boys UIL Golf State Tournament May 14-15 at the White Wing Golf Club in Georgetown. Azarcon finished second place at regionals and will play in the girls tournament May 21-22 at the same location. More information about the state golf tournament is available here.